"Artistry Labs created a functional, eye catching website for our school that has increased our web traffic flow and received positive remarks from our website users." Northside Methodist Academy has a mission to help students become fully devoted followers of Christ. While providing excellent education for each student, they also train students in the knowledge of God and a Christian worldview. Northside Methodist Academay has been enriching lives and “doing life together” since the fall of 1975. 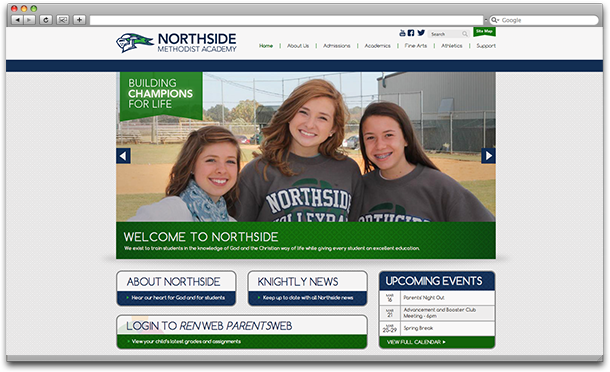 Artistry Labs came alongside Northside Methodist Academy to breathe new life into their brand with a new website to provide prospective parents and students as well as those already part of the NMA family with school information throughout the year. 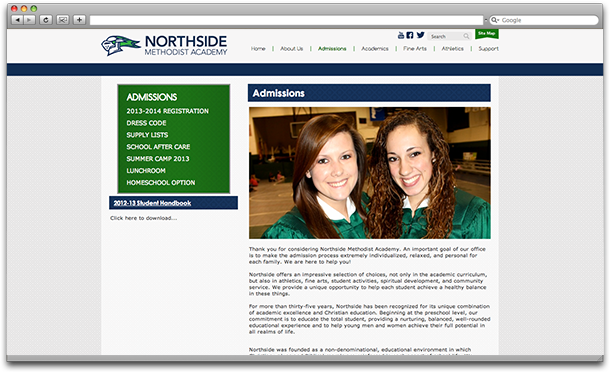 In addition, the school now has a mobile website, designed to keep everyone up-to-date on all that's going on at Northside Methodist Academy.